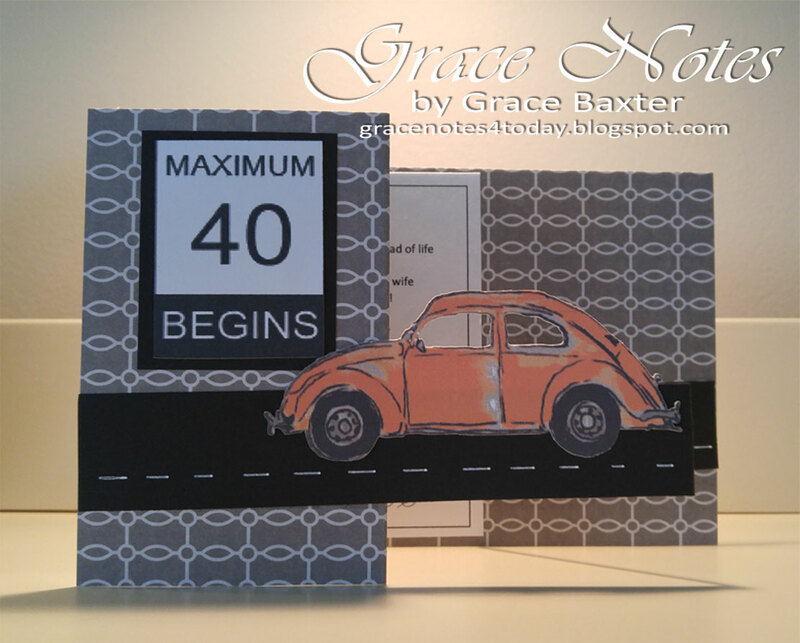 A card celebrating a 40th birthday needs to be something unique. I created this one to please a vintage-loving, VW enthusiast and "car guy". My recipient owns a 1954 VW Beetle and loves all things Volkswagen. After researching every VW site online, I could not find anything that would work as a focal point. The solution? MAKE MY OWN! I came across a gift bag that had VW bugs all over it in various colours. I bought the bag which became the gift bag for a sign I made. (See that post HERE). I scanned the car that had the best angle. In PhotoShop, I flipped it and cleaned up the image. 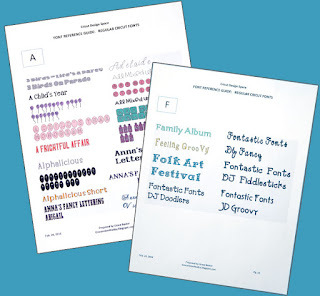 Then I imported my image into Cricut Design Space where I printed and cut it out. 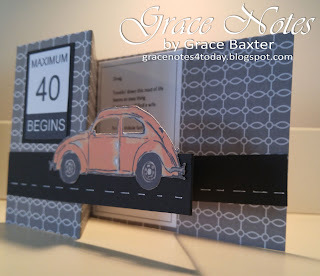 The sizing (which was tricky to figure out) was perfect for my card front! I was pretty excited about the way it turned out -- all old and vintage looking. PLUS, the card now perfectly tied in with the gift bag! 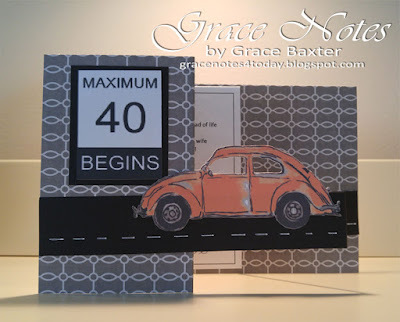 In thinking about the number 40, I decided to make a sign for the card's front. The play on words is fun but also true! I created the sign in PhotoShop. 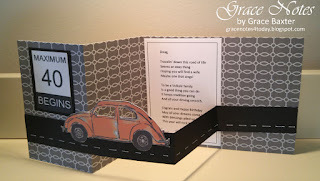 A poem written especially for the recipient is hidden until the card is opened up wide. gift that goes with this card! 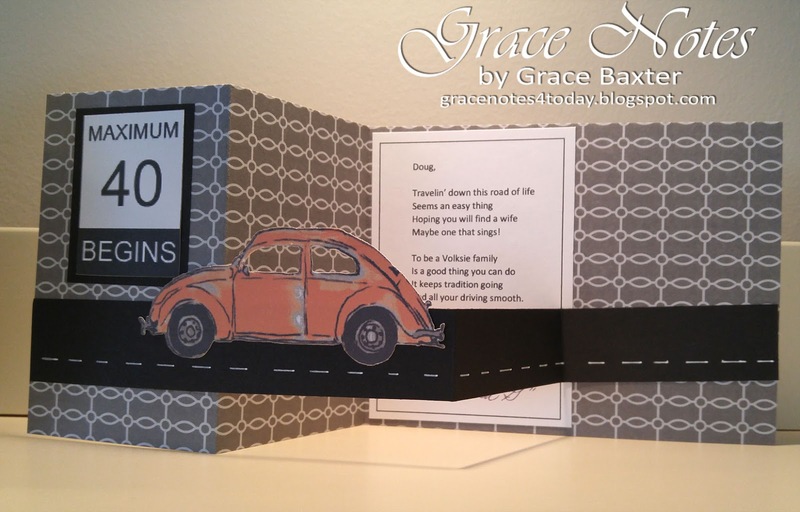 Grace, I just love this card cut and what you created using it. Such a great card. TFS.